Add the amazing flavours of Dark Ivory to your fandom for Mexico this World Cup. 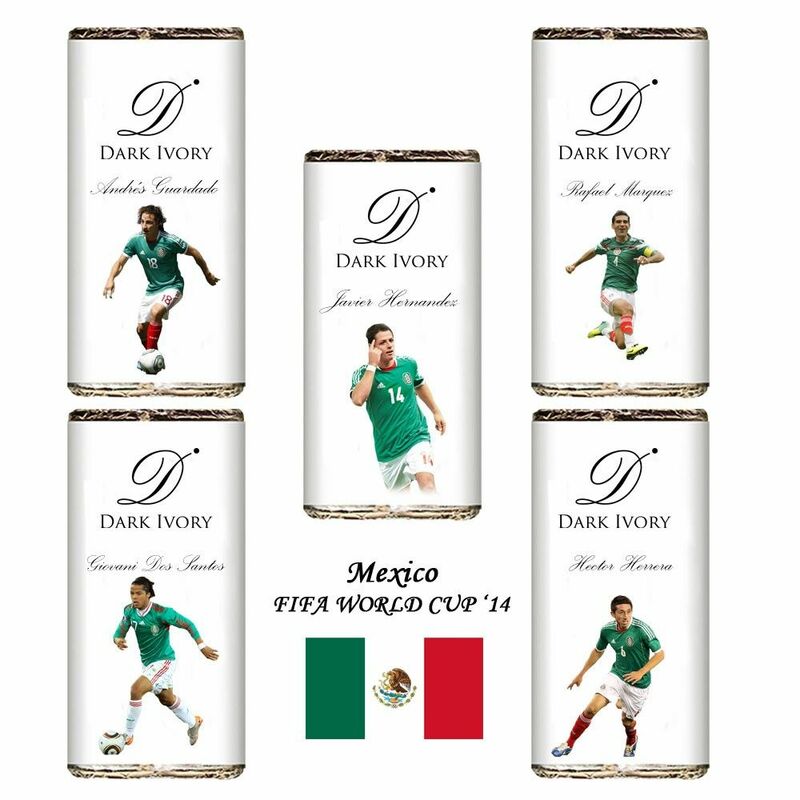 Enjoy the rich taste of chocolate wrapped in the imprints of Javier Hernandez, Giovani Dos Santos, Héctor Herrera, Rafael Marquez and Andrés Guardado. So wait no longer and savour the delicious taste of Dark Ivory while you cheer for el Tricolor this summer !